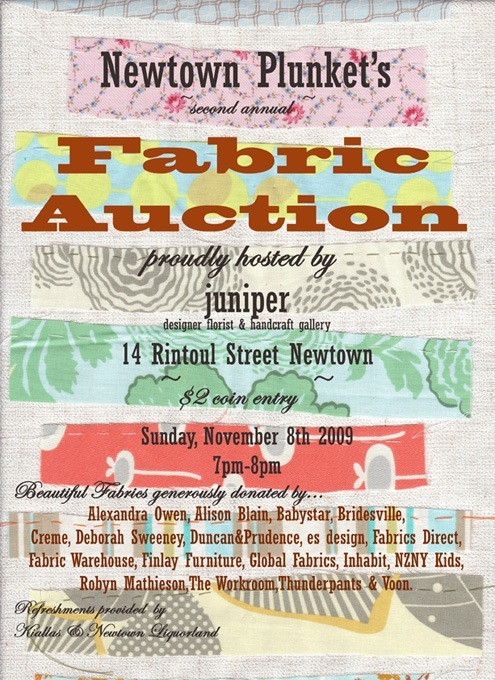 Newtown Plunket is about to hold its second fabric auction. This auction offers a fabulous range of fabric donated by local designers, upholsterers and retailers. All proceeds from the auction help Newtown Plunket to provide resources to local families. Sunday 8 November at 7pm, at Juniper (Rintoul St, Newtown, Wellington).